Shinhotaka Paking Map is released. Parking map around Shinhotaka-Onsen is released. 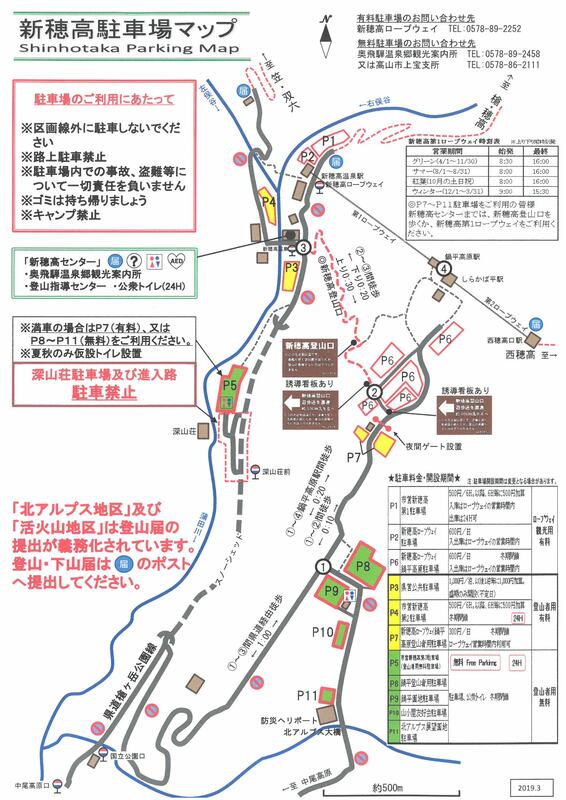 Climbers entering the Northern Japan Alps from Shinhotaka and customers using Shinhotaka Ropeway should refer to this map and park the car in the designated place.